iTeleport Connect is a nifty PC app which enables you to access your PC from anywhere in the world from your iPad! If you insist, you can also do it from an iPhone or iPod Touch but probably not as comfortable. 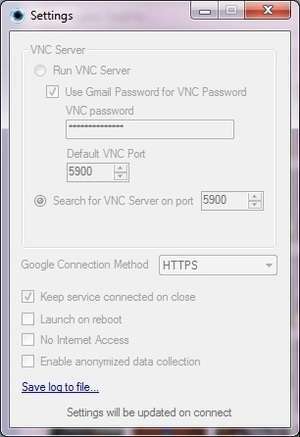 iTeleport Connect provides access to a remote PC, like the one in your living room with the help of a Gmail account for authentication. Once connected, you can access files, folders and applications. Version 6.1.0.2 is a freeware program which does not have restrictions and it's free so it doesn't cost anything. For security reasons, you should also check out the iTeleport Connect download at LO4D.com which includes virus and malware tests. Additional screenshots of this application download may be available, too.